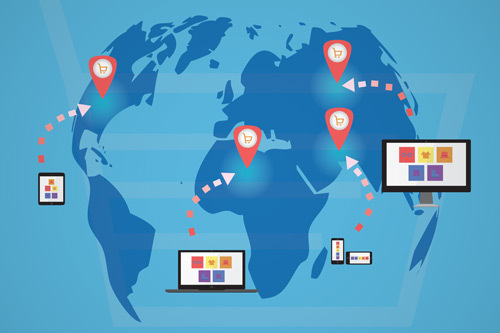 New research published in the Academy of Management Journal has found that online buyers are still significantly influenced by a business’s geographical location. Professor Gianvito Lanzolla and Dr Hans Frankort, examined a large online B2B marketplace to identify the key factors which influence a buyers’ decision to make a purchase. They analysed the activities of companies across a multitude of industries that were registered to an online marketplace during a 21-month period. The study found that while digital transformation could provide companies with more possibilities for connecting with buyers, this was not completely true in terms of business realities. In fact, rather than providing a more level playing field, digital marketplaces were more segmented than traditional ones. While digital marketplaces are often seen as meritocratic platforms in B2B markets, the research shows that in reality, they are ‘winner-takes-all’, with only a small percentage of online companies receiving the majority of buyers’ attention. Buyers tend to equate a sellers’ location with the quality of a seller’s institutional environment. 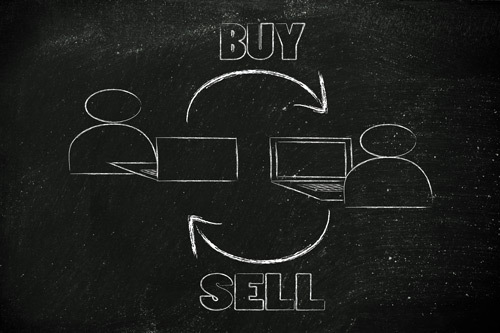 This influences their bias and therefore their decision to engage with a seller. This is good news for online businesses with established geographical locations synonymous with a particular industry. For example, technology businesses with headquarters in Silicon Valley and in Bangalore or for financial services with addresses in the City of London. Online doesn’t equal fair - B2B digital marketplaces are subject to clues or ‘signals’ that show biased, social hierarchies are at play. These hierarchies share the same ‘signals’ as off-line marketplaces including, brand and reputation; location; certification and legal status. All signals matter - In B2B digital marketplaces, where these signals can be difficult to spot – all signals matter and companies should take care how they present themselves to the public. Buyers will gauge a seller’s online profile and use these ‘signals’ to divide companies into a perceived hierarchy. Marketplace monopolies - The divide between online companies that are seen and those that remain unseen, is likely to increase and widen, leading to de-facto monopolies within the B2B digital marketplace. The data shows that a buyer’s perception of where a company or seller stands in the marketplace’s hierarchy will impact the likelihood of them contacting that company or seller. Specifically, the higher a company or seller is perceived to be in the hierarchy, the greater chance of contact from buyers who have a much lower position in the same hierarchy. Consumers and companies are being trapped into a ‘digital bubble’ where all their biases are confirmed. This is bad news for innovation, as well as economic and social development. There are actions that companies can take... online businesses would benefit from equipping themselves with a prestigious address that speaks to their buyers’ biases. However, this is not will not be an option for everyone. This research presents many opportunities for entrepreneurs and policy makers to address these trends. For instance, by establishing ting new benchmarks that can substitute these social comparison dynamics or creating new mechanisms to increase the visibility of companies at the fringes. The research paper, ‘The Online Shadow Of Offline Signals: Which Sellers Get Contacted In Online B2b Marketplaces?’ was published in the Academy of Management Journal.